Towards the end of ‘Through The Trees pt. 2’, the opening track of ‘Clear Moon’, Phil Elverum sings, “I’ve held aloft some delusions/From now on, I will be perfectly clear”. That, like so much else on this record, is just what I needed to hear. I’ve spent a reasonable amount of time listening to Elverum sing and play music, both as Mount Eerie and under his revered former moniker of The Microphones. I’ve always found his records nagging, beguiling, frustrating and slippery. They are artful and obtuse enough to keep me coming back, but never so attainable as to win me over. ‘Clear Moon’ is different. It’s a beautiful record, but it’s a beautiful record with intent. Elverum recorded two albums, ‘Clear Moon’ and ‘Ocean Roar’, over a 15 month period in his home of Anacortes, Washington. This record is his meditation on the landscape, images of which suffuse the lyrics and echoes of which scratch against windows and roar under feet throughout, and Elverum’s place within it. He meditates on life, death, impermanence, meaning and chaos all of which he sees embodied in his evolving relationship with his environment. It seems clear, listening from a distance, that through this meditation Elverum has reached some hard won and sometimes equally hard to bear conclusions and accommodations. One leaves ‘Clear Moon’ imagining that he has begun to find some answers and to understand his place in the world. I’m in danger of gushing about this album, something which i’m keen to resist for all sorts of different reasons. It does however seem important to say that not since I was a mopey teenager can I recall a record connecting so directly and intensely with how I was feeling about life. Sonically, ‘Clear Moon’ is breathtaking, finding ways to express feelings about the vastness of the landscape, shifting from strummed acoustic guitar to synthesised drones, pulsing krautrock and pastoral black metal fogs. Elverum’s voice, fragile yet permanent, glows like a distant lighthouse. Tom Listened: I was surprised by Clear Moon, as I often am by records that Rob plays us by artists that I have long given up on but that he has stuck loyally by. And I mean surprised in a good way. Clear Moon was an excellent listen and did conjure up images of wild Northwestern USA (or did Rob put them there in his introduction?). The way the sound was so big, yet Elverum’s vocals are so pathetic and weak and distant definitely amplified the feeling of an individual lost in nature’s vastness, overwhelmed by its magnitude. I find it interesting tracking Rob’s path to this album and comparing it with my own. For both of us, our first experience of Elverum’s work was with The Microphones’ “classic”, The Glow Pt 2. I think we both liked it but not unreservedly and I, for one, have never really ‘got it’. I haven’t bought any more Elverum albums (either Mt Eerie or Microphones) working on the assumption that if I don’t really like his ‘best’ work, surely anything else would be a case of diminishing returns. Rob, a far more astute individual than myself as it happens, did what he so often does and stuck with Elverum, obviously working on a hunch that there was enough potential in The Glow.. to suggest that Elverum would go on to produce work that he would fall for…and so it has turned out. I don’t think I’ll ever change my ways; I am far too stingy to risk spending loads of money on albums I don’t really want and I also love discovering new stuff, new artists, but I can see that Rob’s approach is leading him to some very interesting and in some cases (this case?) inspirational work. Nick listened: I’m having to cast my mind way back for this, as it’s a long time since our last meeting (and, alas, we should have been meeting tonight, but snow has made traversing Devon treacherous). 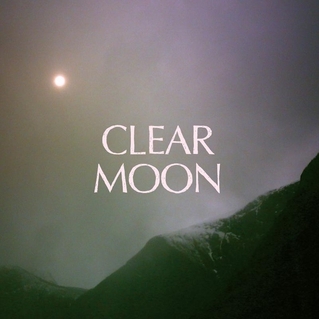 If I remember rightly, I was intrigued and impressed by Clear Moon, which is my first encounter with the work of Phil Elverum. It worked almost like ambient music at times, songs starting, changing, evolving into shapes unlike songs, evoking landscapes rather than emotions or narratives. I’d be very happy to hear this again and see where it takes me. Graham listened: I really enjoyed this for a first time listen. I didn’t really feel overtaken by any National Geographic imagery, but I was was deeply intrigued by the style of sound/recording/production on this album. Could possibly feature in my 2013 purchases, but as it only January, and I only bought 2 new releases in 2012, its too early to commit!